So, you figure it’s time to expand your business. You start getting your LinkedIn profile updated. You start a marketing campaign for your Facebook and begin marketing your Instagram and following up with clients. All that is great until you have to meet with people one-on-one or get on the phone with them! I am going to focus more on meeting with people face to face. 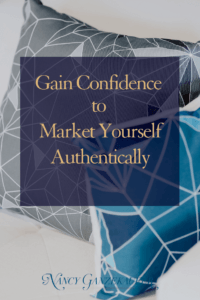 One of the most powerful ways to market yourself (beyond the technical part of marketing), is gaining the confidence to market yourself authentically. When people can buy into you, they are more likely to buy into the services you can provide for them. Get your pen and paper ready and take some notes on how to market yourself with greater ease. In a culture where you are obsessed with how you look and you’re worried about being the right weight and the right size, sometimes it’s hard to be comfortable in your own body. Especially in front of new people. Sometimes, you wonder if your physical appearance will deter people from working with you because you might be too short or too tall. Maybe you feel you’re a little bit overweight and so when you meet new people, you feel like they are judging you in that way. This is something that you will have to practice long-term and that is learning to love your body no matter what. You can love and want to improve your body at the same time. Plus, you are more than your body and that’s where your thinking needs to start changing. If there’s something you can change, start working on it and be confident in your worth outside of your physical appearance. In the meantime, if it helps you feel more at ease and helps you be more yourself, dress well. Make sure you are wearing clothing that you actually like and you feel good in. Wear items that conceal the areas you worry about. When you feel comfortable in what you are wearing, you present yourself more confidently and authentically. 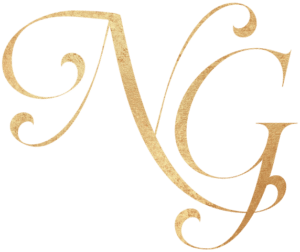 Don’t take any new potential clients for granted. Be well prepared based upon who they are and what they need. Be sure you see them and set them apart from any other potential client that you have met with before. They have their very own unique needs and desires. Use your authenticity to answer those needs. Don’t over-think the sales process, because that can cause you to shut down if you already tend to worry about that part. You know you have worked hard to get where you are and have the skills needed. Your experiences are endless! You are a wealth of knowledge and skill and now you want to bring that to the table. How you can serve them is the way to think about your meetings with potential clients. When you think in that way, it will stop a lot of the performance anxiety, because you are focusing on bringing VALUE. Have you ever been in a meeting or a conversation, and you think, “Did I say too much?”, “Did I talk too fast or too slow?” “Did they understand what I meant?” and “Oh man, maybe I shouldn’t have told that joke?” Some of you might do that right in the middle of a conversation or a meeting. It really takes you away from being present. Up until your next one-on-one meeting, practice not judging yourself about everything in everyday settings. That way, you can be more present and authentically you when it’s time to market yourself. 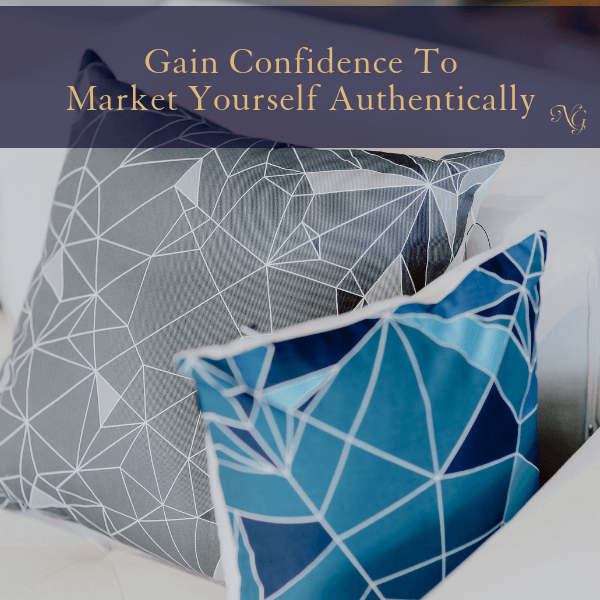 So, gaining confidence to market yourself authentically starts with loving yourself as you are right now. You become more present and able to be the unique and thriving person you were born to be. You will naturally take that into business settings where you need to market yourself. It will be like second nature!